To remove weeds, moss and dirt from block paving. With stainless steel scraper. 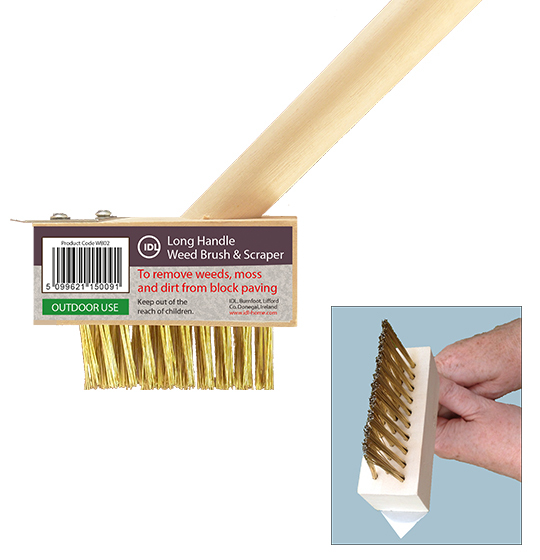 Angled wire bristles for effective cleaning.